Qinterra Group’s North Sea well intervention specialist Altus Intervention and its international technology arm, Qinterra Technologies have united to form one global force in well services. With headquarters in Stavanger, Norway, the combined group will be known as ‘Altus Intervention’, bringing together over 1,000 staff across four global regions: UK and West Africa, Norway and Denmark, the Americas and Middle East, and Asia Pacific. Following EQT’s acquisition in 2014, the two companies Altus Intervention and Qinterra Technologies were created. The united business will now operate as one brand to offer an enhanced range of innovative and field-proven well intervention technologies, tools and services to the global oil and gas industry. 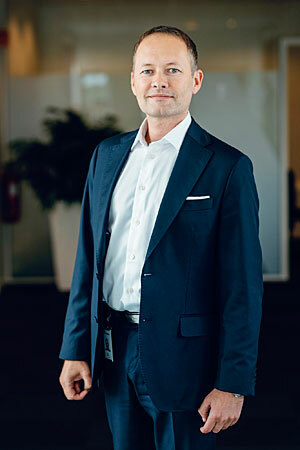 Group chief executive, Åge Landro, who joined in February 2016, will continue to lead the company as it pursues a strategy to make intervention smarter. With established innovation centres in Stavanger and Houston, the group has invested over GBP 50 million in new technology over the past three years, demonstrating its on-going commitment to research and development. So far, this year the group has seen a growth in technology activity of more than 50% and a number of high profile contracts secured with operators. This includes well intervention projects with Maersk in Denmark and the UK, Shell in the UK and US, Statoil in Norway and Petronas in Malaysia. This has increased the company’s contract backlog by 40% in the last 12 months.